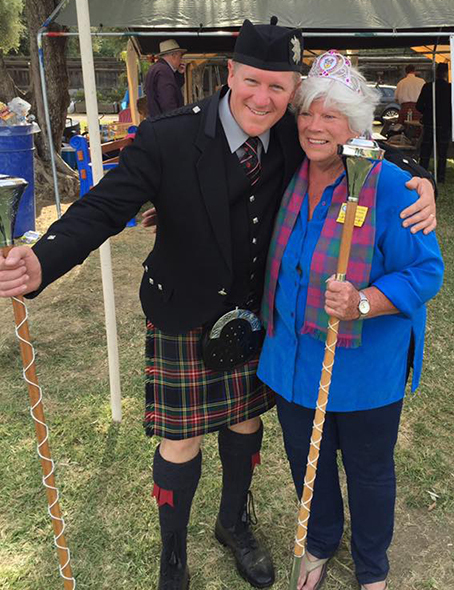 The Woodland Celtic Games & Festival continues the excellent standards from previous years. We award the United States Scottish Drum Major Championship and are excited that we have terrific competitors and excellent displays of drum major performances. We host a great 2-day event with 2 classes. We also are pleased to welcome any beginners wanting to learn more. Experienced competitors are always willing to assist incomers and talked to our guests about their “sports.” This is made up of hours/years of practice, experiences, competitions, time, and energy. You earn your trophies at Practice. You just pick them up at Competitions. Competitors go after 100 valuable points each day; Dress and March/Deportment. We award a 1st, 2nd, 3rd, and 4th place each day with the total points from both days determining the US Champion. Brian Wilson, Northern Ireland (3 time World Champion and 2 time US Champion along with many other awards).